Pre-Order your Easter HAM here! Our hams will be available at the Farmers & Makers Market at cSPACE on Saturday, April 20th. If you would like us to hold a ham (or two) for you, please fill out the form below. You can also pre-order your skinless, cured, smoked ham in person at the Farmers & Makers Market at cSPACE. 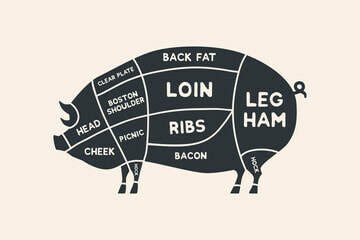 We have requested the leg hams to be cut into 3-4 lb and 5-6 lb ranges. Pick up will be at the Farmers Market on Saturday April 20th from 10 AM – 1 PM. We should have some extras to sell at the market if you just want to stop by. What is your ideal size ham(s)? ​If you have any questions let us know here!